Are you planning to have a St Patrick’s Day party or celebration? 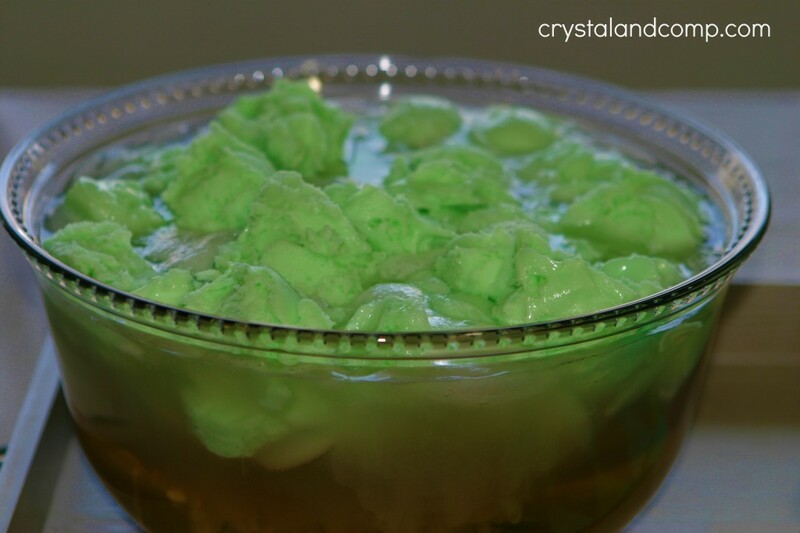 Here is an easy punch recipe that you can make to celebrate St. Patrick’s Day. This is simple enough that the kids can join in and help. It is also perfect for many other occasions like baby and bridal showers as well as birthday parties. 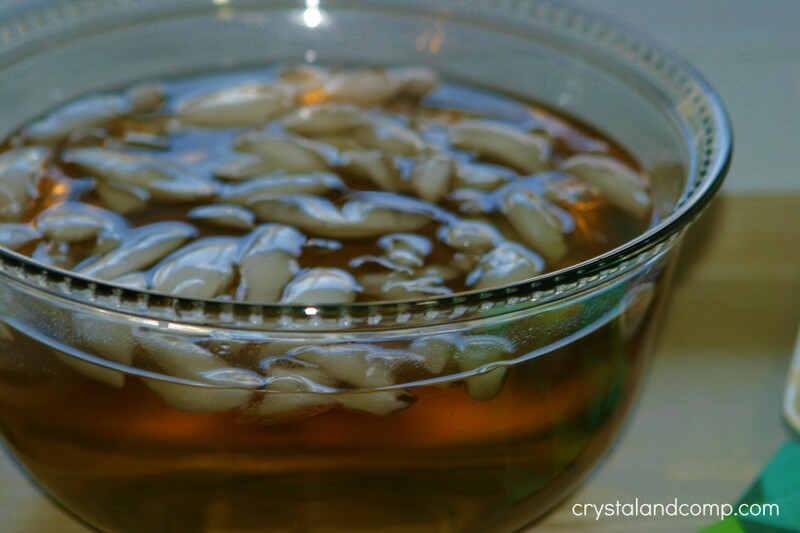 Take a large punch bowl or kitchen bowl and add 2-4 cups of ice to it. Use a small-medium melon ball scooper and scoop the sherbet into the punch bowl on ball at a time. The Ginger Ale will start to fizz as you add the sherbet. 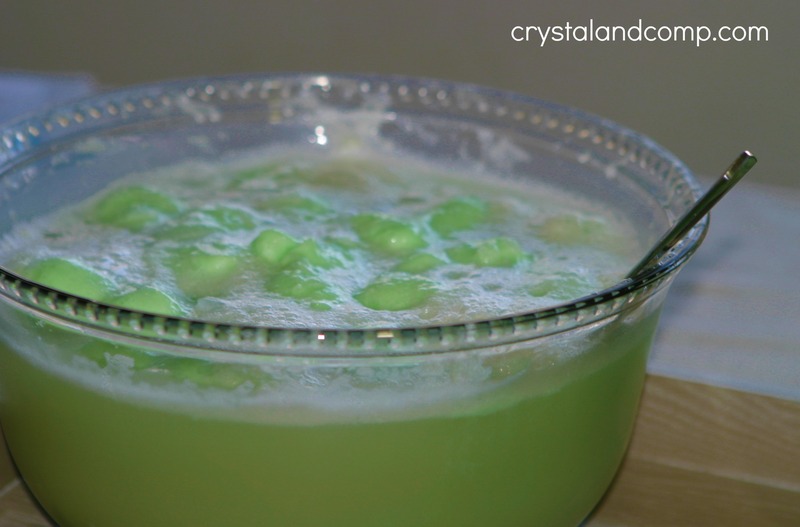 As you add the sherbet, it will slowly start to melt and change the color of the Ginger Ale. Stir it a little with a ladle or spoon. Before you know it, the punch will be completely green. Use a ladle to fill punch glasses or cups. Make sure you get a couple of scoops of the sherbet balls into each cup. 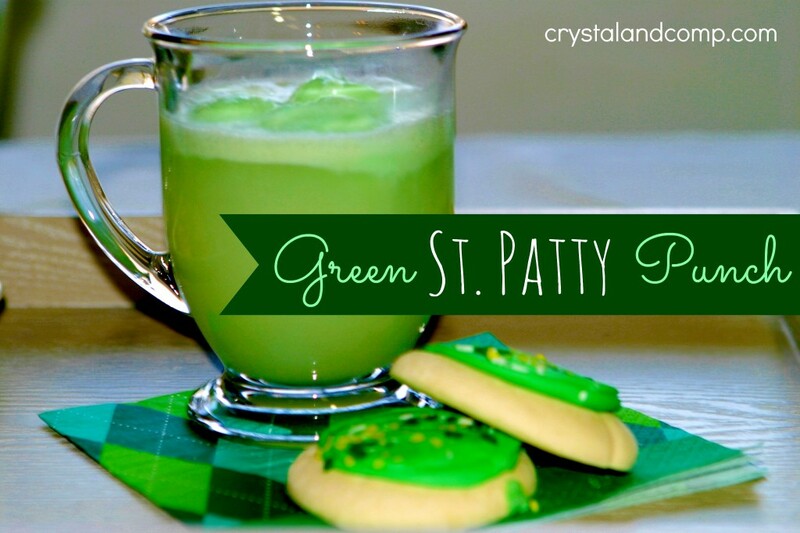 You can easily throw a St. Patrick’s Day party by adding some sweets and maybe some yummy mini pizza bites. 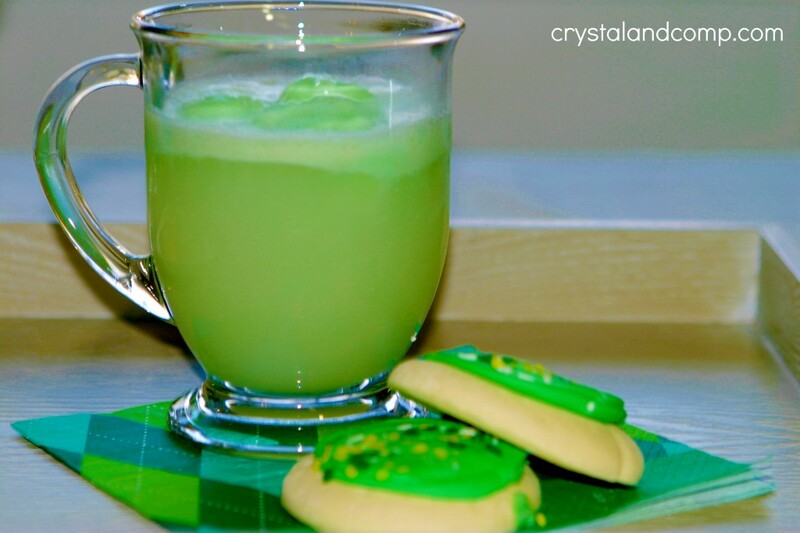 For another version of this punch using Sprite, hop over to my friend Sherri’s blog and check out her St. Patrick’s Day Punch recipe. 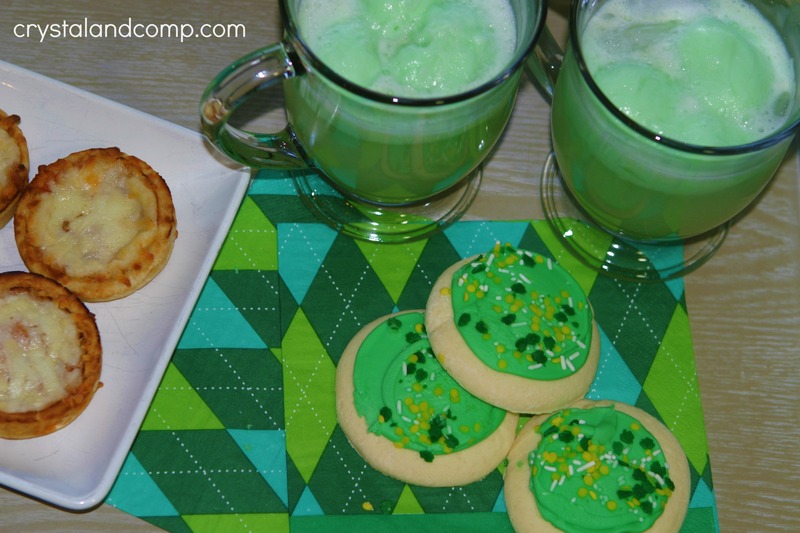 This looks like a fun and easy treat to serve the kids on St. Pat’s Day! This looks so easy and sounds so yummy! I have a St. Patrick’s Day Party coming up and this would be perfect to serve!!! Here is the link if you’re interested! Fun! I bet the kids love it. Yum! 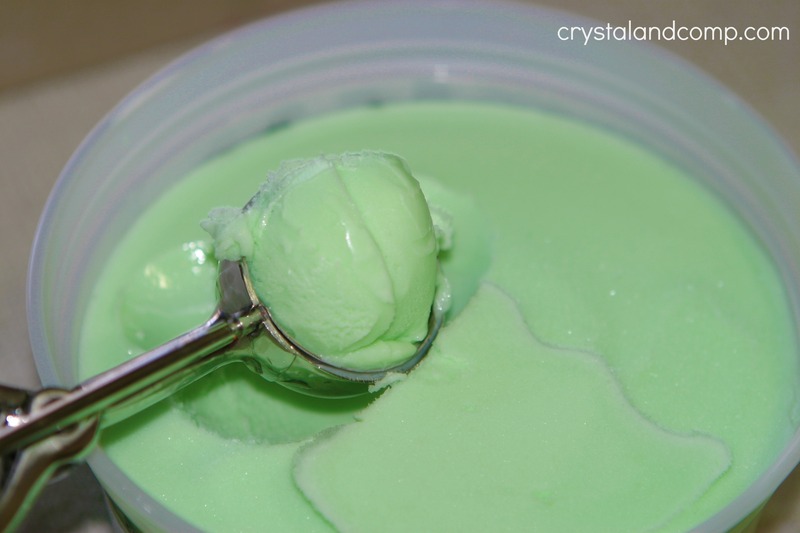 Ginger Ale and Sherbet are two of my favorites so this is coming just in time to get our st.paddies menu! Thanks for sharing and thanks for linking up with us at Tell Me About It Tuesday! I hope you hop over again next week. Sara recently posted..Here Come the Octonauts! This sound delicious and it is really festive!